In today's economy, it's essential for business professionals to excel at measuring, managing, and maximizing shareholder value. 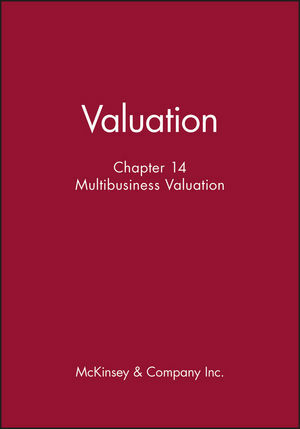 Valuation, hailed by financial professionals worldwide as the single best guide of its kind, shows managers at every level how to create value for their companies. McKINSEY & COMPANY, INC. is an international top management consulting firm. Founded in 1926, McKinsey & Company, Inc., advises leading companies around the world on issues of strategy, organization, and operations, and in specialized areas such as finance, information technology and the Internet, research and development, sales, marketing, manufacturing, and distribution.